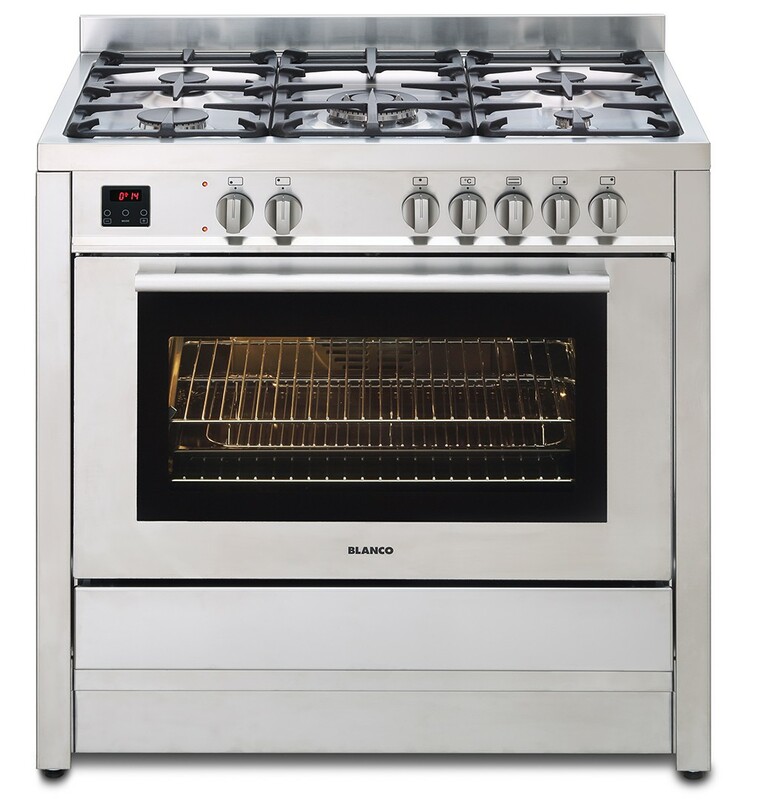 Blanco BFD9058WX oven is 5 burner gas cooktop with flame failure including wok burner, 8 function electric oven. This A grade european rated cooker provides exceptional energy efficiency by ensuring that all the heat that is generated remains within the cavity. When using the telescopic runners shelves can be pulled out to aid loading and unloading of the oven. The triple layered door not only a cooler to touch surface but also increases the energy efficiency as the heat is retained within the oven. The fully programmable touch control operation enables you to set the start and finish time of your cooking where the oven will automatically switch off when finished. The Blanco BFD9058WX Oven was added to the Ovens category in February 2018. The lowest price GetPrice has found for the Blanco BFD9058WX Oven in Australia is $2,449.00 from ozappliances.com.au.